Last week we hosted our first ever Wild Apricot User Conference as part of Personify’s Annual user conference, PersoniFest. 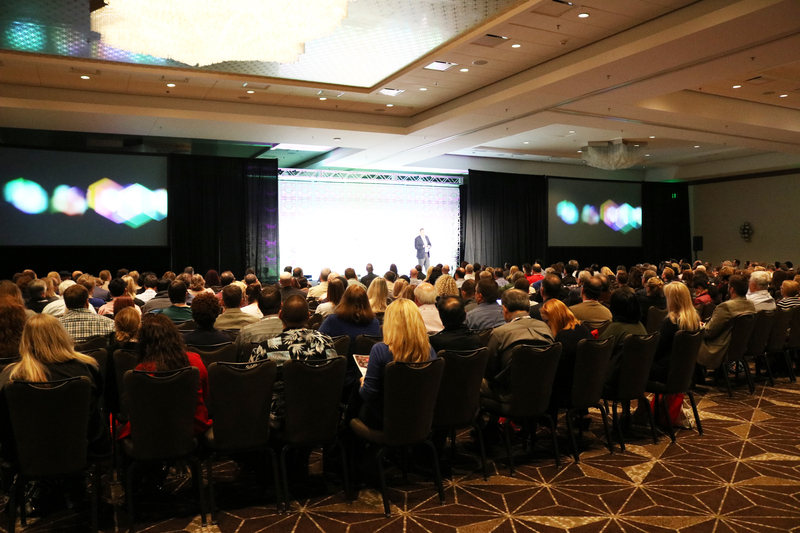 The conference took place between April 8 - 10, in downtown Austin, Texas. Now, the first thing you might notice about PersoniFest is that Personify tends to create names that leverage the company name. They have a product called Personify360, another one called PersonifyGO and so of course, their user conference is called PersoniFest. Why PersoniFest, you might ask? It is a festival rich with attendees from our company, customers, and partners. 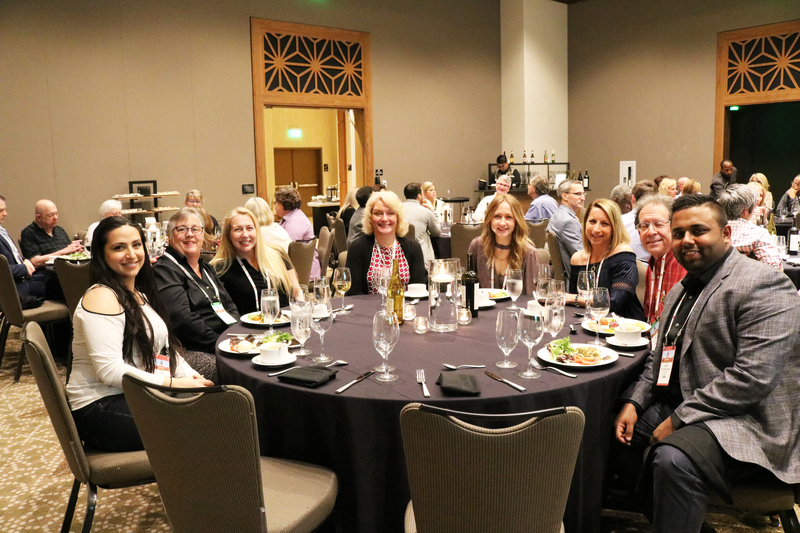 It is a great opportunity to learn, network, and have fun while ultimately enhancing what you and your organization achieve with our portfolio of products. Here's a two-minute sizzle reel showing highlights of PersoniFest. Nearly 100 Wild Apricot customers attended (over 500 total attendees! ), and if you weren’t able to attend, here are the big five things you missed out on. I’ve been to other conferences in the past and found it difficult to move past small talk with attendees. The people I met at PersoniFest were so down to earth and passionate about their work, it was infectious. That’s because the people from these organizations are working to change their communities for the better. From the Rural Health Association of Tennessee, the Young Men’s Business League, to one of the many chapters of the Association of Talent Development, everyone had an amazing story to share — it was difficult not to get lost in a conversation with someone else. As I listened to more stories, another thing quickly became apparent to me. Everyone I talked to was trying to do a lot with a little, and without much help — but that was also the beauty of coming together. 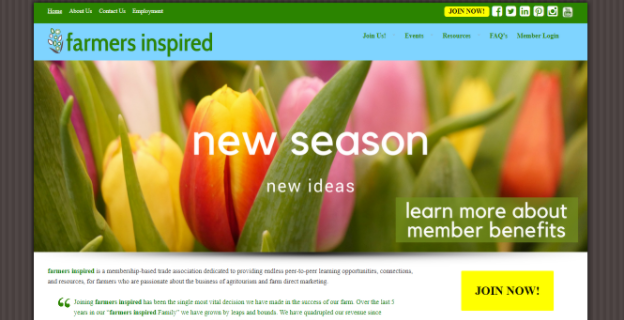 People naturally started sharing their tips and strategies on how they use Wild Apricot, how they grow their members, how they handle difficult board members, and more. Overall, it was an amazing experience to be part of. We all made lots of lasting connections. During the Wild Apricot appreciation dinner on Monday night, we handed out two Persi Awards to two different organizations. The Persi Awards are given to customer that we see making a bigger impact in their communities through Wild Apricot. The innovation award was given to the organization that has done a great job integrating all the features of Wild Apricot to manage their membership and drive their mission forward. 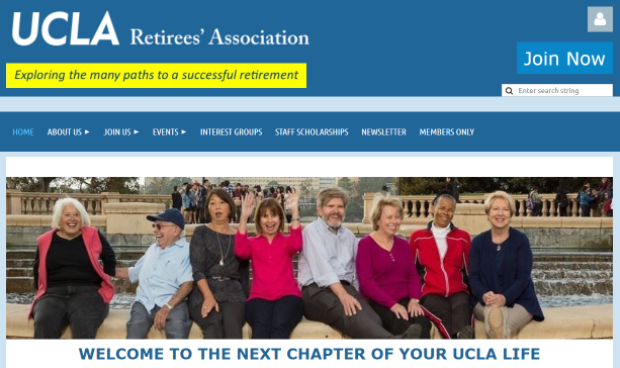 This year we gave the award to Sue Barnes on behalf of the UCLA Retirees Association. 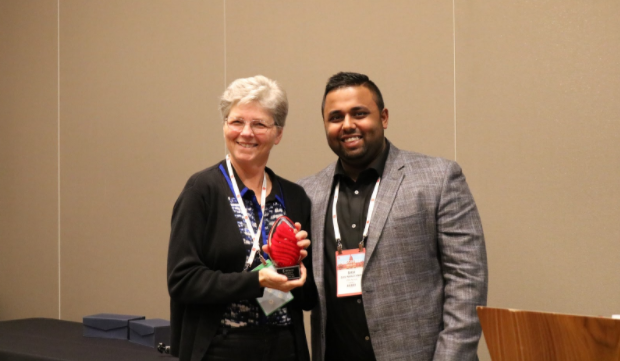 Here's a picture of Sue Barnes (UCLA Retirees Association) accepting the award from our Chief Marketing Officer, Shiv Narayanan. The Impact Award was given to the organization that has used Wild Apricot to free up their time in order to create significant impact in their community. This year we gave the award to Lisa Dean on behalf of Farmers Inspired. 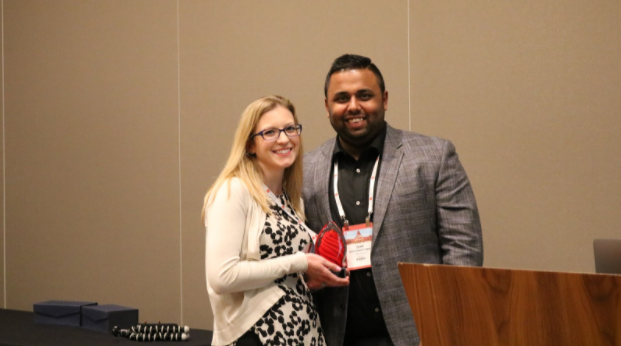 Here's a picture of Lisa Dean (Farmers Inspired) accepting the award from Shiv Narayanan. Attendees had the opportunity to get in-depth training on Wild Apricot’s software and also learn the marketing strategies we’ve used to grow Wild Apricot year over year. 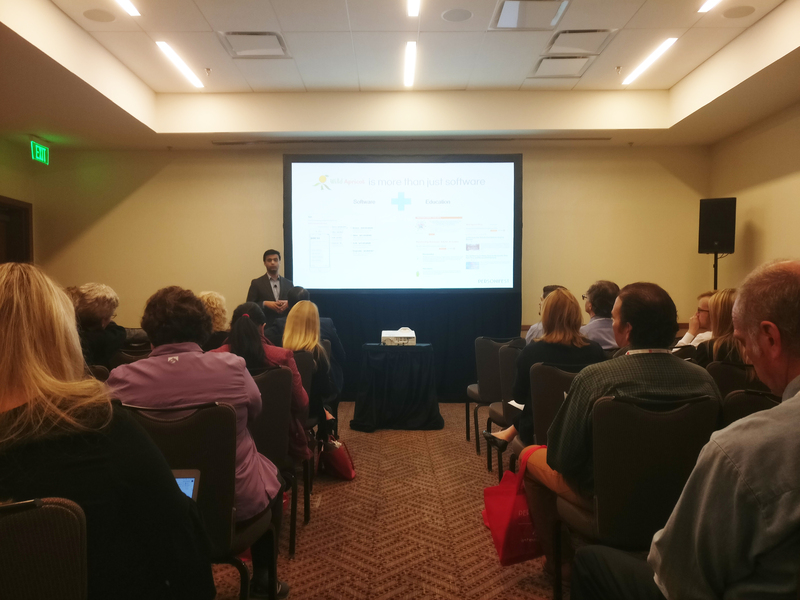 Farhad Chikhliwala, our in-house Facebook Ad expert shared his playbook on how any organization, no matter the size, can use Facebook Ads to find new event attendees, donors, members, etc., for as little as $20. Terry Ibele, our SEO expert shared his playbook on how organizations can increase traffic by bringing their website pages up to the top of Google’s search results by simply changing a few technical things about them. Mark Faccia, one of our Customer Success Managers showed customers the simple process to set up an Online Store on Wild Apricot as well as our future plans for the feature. Alain Lo, one of our Customer Success Managers showed customers how to use our new mobile app for members as well as our future plans for the app. 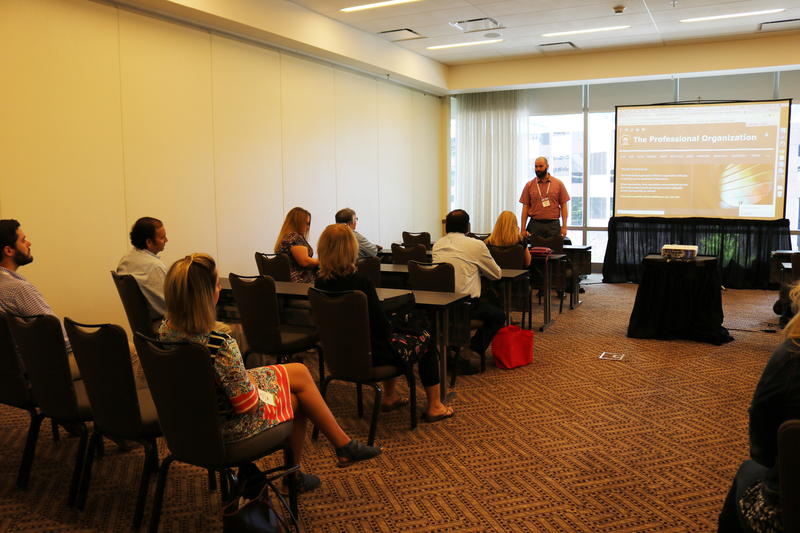 Throughout the conference, customers could sign up for a 15-minute time slot with one of our staff, where they could ask any questions about their Wild Apricot account and receive personalized support. This proved to be extremely popular as every time slot was quickly booked. Our Customer Success Managers Mark and Alain gave a “classroom” session on how to use the main features of Wild Apricot. This special session for Wild Apricot Partners covered topics ranging from Wild Apricot’s roadmap to how they can make the most of their partnership with Wild Apricot. 4) Aron Ralston’s Inspirational Story, and SaulPaul’s Entertaining Rhymes. Have you heard of the movie 127 Hours starring James Franco? It tells the story of a canyoneer who becomes trapped by a boulder which crushes his right hand. He spends five days alone in the desert until he decides to cut off his hand and hike back eight miles to his rescue. The movie is based on real-life canyoneer Aron Ralston’s experience in the Blue John Canyon. At PersoniFest, we had the privilege of hearing his story live. It’s nearly a week later, and we’re still talking about what he shared. It was emotional, shocking, and downright unfathomable. Ralston’s powerful narrative encouraged us to recognize our inner potential and to appreciate and harness our relationships to overcome life’s adversities, regardless of how large or daunting our “boulders” may be. Later in the evening, we were treated to some musical entertainment from local rapper SaulPaul, a musician with a message. He taught a few daring individuals how to do the Texas Two-Step while he rapped to the audience. Here’s a picture of me on stage. This was the first time Wild Apricot invited customers to a live event (we’ve never held one before!). Being a part of Personify now means that we get to do awesome things, like join their annual conference, PersoniFest. Attendees also had the opportunity to meet the Personify team — their staff, executive directors, and CEO, Eric Thurston. All of us were attending PersoniFest just as much as the attendees — we were chatting with customers during the networking sessions, laughing over meals, and learning during the presentations. It’s my hope that we see new and familiar faces at next year’s event. 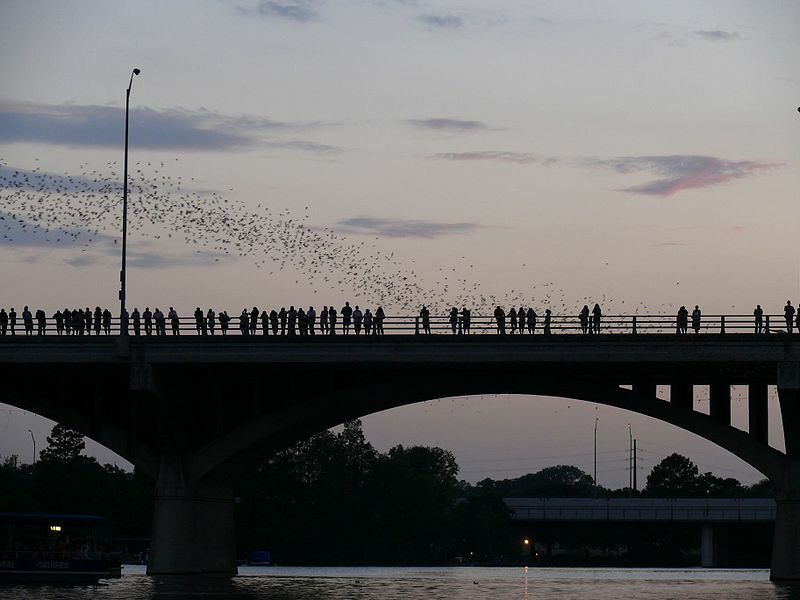 One thing Austin is famous for are it’s bats — more than two million of them. The bats all live under a bridge in the downtown core and every night they all fly out at once in search of food. A few went out at sunset to experience this incredible phenomenon. On the last day of PersoniFest, the organizers revealed 2019’s location by getting attendees to sing “Peaches” by The Presidents of the United States of America. That’s right, next year Personifest will be hosted in beautiful Georgia, the Peach State of America. We hope to see you next year in Savannah, Georgia! Nicki Kowsari (Sales and Partner Relations) and Shiv Narayanan (CMO) with some of Wild Apricot’s customers at the appreciation dinner. Mark Faccia (Customer Success Manager) showing customers how to set up the Online Store. Farhad Chikhliwala (Demand Generation Manager) presenting on how to promote your organization with Facebook Ads. CTO of Personify, Dave Cooper, delivering his keynote presentation on Product.